Taken 1900-1910. 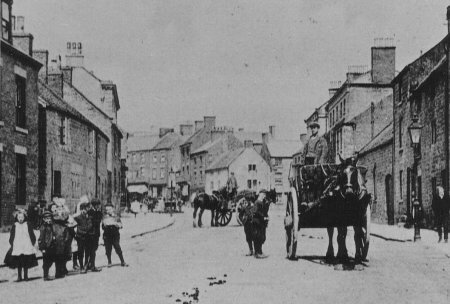 St John St, Nether House on right. From an unused postcard. 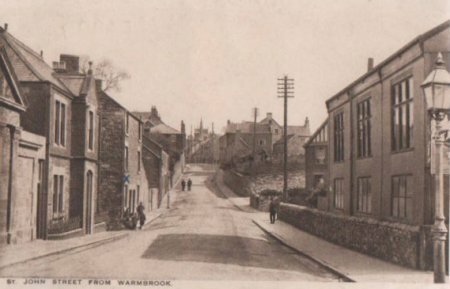 The building on the left is Waltham House, which was built in the early 1800s. The Wheatcroft family, who produced tape at Haarlam and Speedwell Mills, occupied it for many years. It became a cottage hospital in 1928 and is now a medical centre. 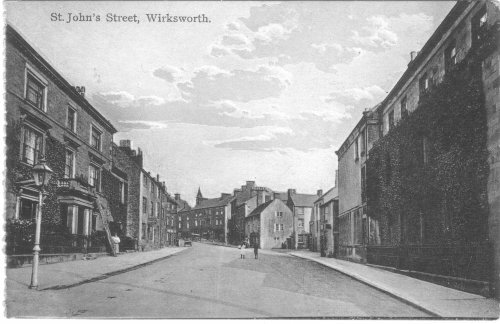 I haven't anything new to tell you but I just wanted to say what a delight the Wirksworth website is. Photo 190 of Nether House interested me and also the comments of Bertram Haworth about Nether House. The bit that relates to my family is when Nether House was a guest house before it was pulled down. My mother's family lived there then. My mother's maiden name was Chadwick. She was the youngest of seven - her parents were Arthur Bertram Chadwick and Sarah Elizabeth Chadwick. I've found their memorial inscriptions [(more)] in St Mary's Churchyard. Her mother died quite young of TB and my mother (Kathleen Annie) was latterly very involved in the running of the guesthouse. She used to mention the huge garden which Arthur tended and I think they used to have Masonic meetings at the house. I'm not quite sure what happened at the end - I know my mother (the only child left at home) and Arthur moved to a house in Summer Street. Kathleen married William Edward Smith and moved to Derby where Arthur died shortly after I was born. Kathleen died about 8 years ago. Thanks again for the website.